Italian for the "Inn of Happiness," Albergo Allegria offers the warm hospitality of a bed and breakfast with the modern amenities of a World Class Hotel. Guests are given individualized attention from the moment you arrive. Enjoy a restful night’s sleep in well appointed, comfortable guestrooms – complete with private baths, luxurious beds, flat screen tv's, and modern amenities. Wake to the delicious aromas of a hearty gourmet breakfast. Step outside the inn’s front door and enjoy a wide variety of all-season activities. This award winning inn serves FREE breakfast delicacies created with local and organic produce and ingredients, prepared within the spirit of the great chefs of our time. French fluffy omelets, fresh fruits, freshly baked goods, pancakes, waffles and all kind of delicious surprises. Award of Excellence for its hospitality in 2015 / 2014 / 2013 / 2012 / and 2010 ! concert hall and movie theater. Hunter Mountain is a short 5 mile !! We are a full-service country inn with 13 newly-renovated guest rooms. We have 100 seat restaurant and bar. Separate catering room for meetings and parties. Amazing 5 State Views on cliff side only 10 minutes to Windham. We are a perfect location for overnight accommodations, weddings, family reunions, private parties and other group gatherings. 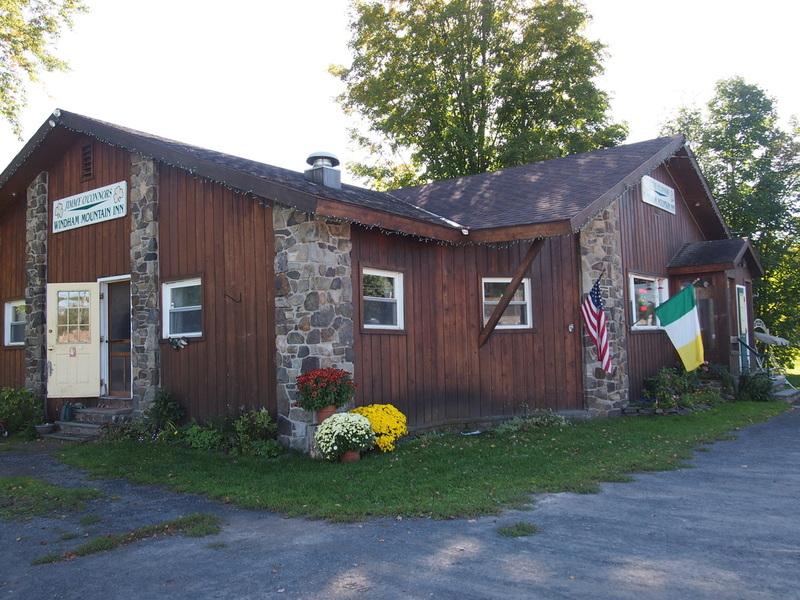 Catskill Lodge is a lovely Bed and Breakfast nestled in the Northern Catskill Mountains in the town of Windham (affectionately nicknamed “Gem of the Catskills” and “Land in the Sky”), just 2.5 hours north of New York City and 1 hour south of Albany. 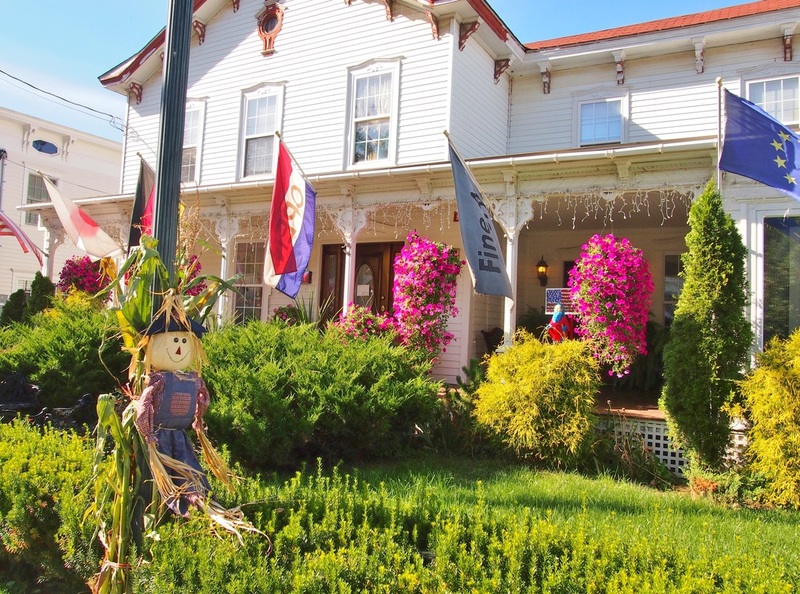 Our beautiful 3-story 1893 Queen Anne Victorian home is a Registered Historic Site that sits atop a hill on 5 lush acres of property where wildlife abounds. Located on scenic Route 23 with beautiful mountain views. 1.5 miles from Windham ski slope and village and 10 miles to Hunter Mt. The B&B’s excellent reputation for comfort and hospitality has been noted by the hundreds of guests who have experienced this “Noteworthy” lodging facility over its many years of operation. Complimentary gourmet breakfast, free wifi, private baths and luxury amenities in all five guest suites. We're a group of friends who have known each other through long-standing careers in the hospitality, fashion, and food & beverage industries. Together, we wanted to create a special place to bring together friends and families, make new memories and escape the city. Eastwind was born in 2018 when we found this property, a gem with sweeping views of the Windham Mountain in the Catskills. We all fell in love with the Catskills in different ways, but our goal and vision were the same — create a unique Scandinavian home away from home getaway experience. Eastwind was remodeled and built through family efforts. Every single one of us contributed to making Eastwind special, from the building plans, to picking the linens and hanging photos on the walls, to operating the hotel & bar. 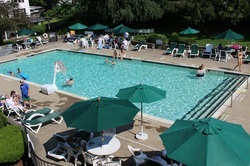 30 Room Chalet Style Hotel with the Windham area's only indoor pool and Jacuzzi and direct access to the Windham Path. Complimentary Continental breakfast each morning, free WIFI, A/C, shuttle service to Windham Mountain on winter weekends and Holidays. Ski and stay and Golf and stay packages available. Centrally located to all area attractions and festivals, including Mountain Jam, The Taste of Country and Grey Fox Bluegrass. Discounts to many area attractions and activities available to our guests. animals and collect eggs on a farm for the first time. Learning where and how things grow on our historic bi-centennial farm, from a real farmer in rural upstate New York, is a unique Adventure that many claim to be “priceless". 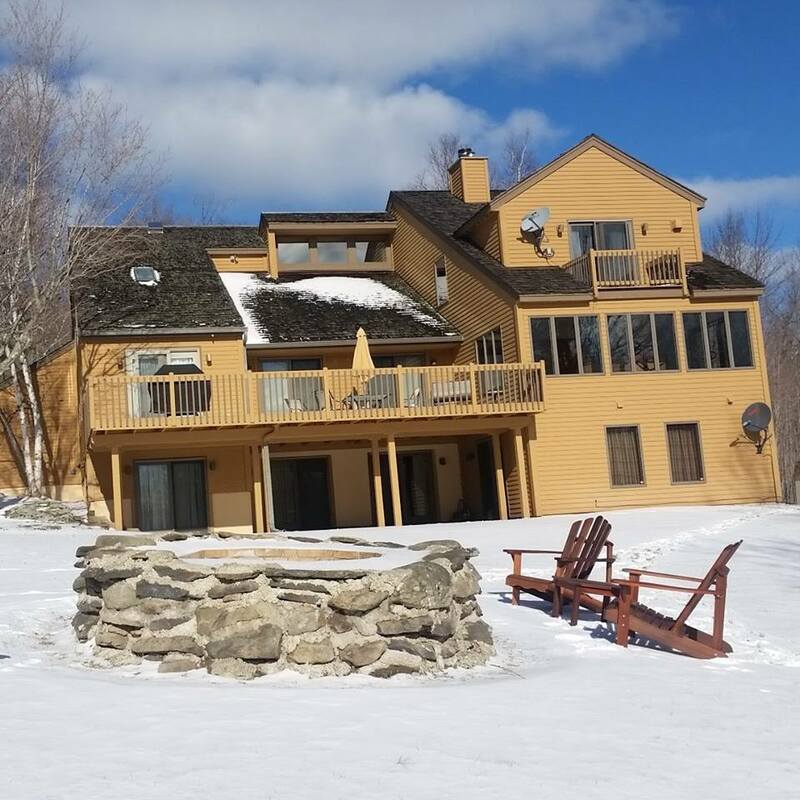 Nestled in the heart of the Northern Catskill Mountains, this beautiful chalet rental home will enchant you with its peaceful charm. It is perfect for a week/weekend getaway with kids, a special engagement, a family reunion, a skiing adventure, or a relaxing retreat. From winter to summer, fall to spring, Morning Star is the perfect retreat after a grueling day on the slopes, an early morning hike at Kaaterskill Falls or a day exploring the jewels of Windham. Guests love to get cozy with a book by the house's blazing fireplace or hang out on the back porch and enjoy the scenic views that stretch in every direction. The Mountain House, a luxury mountain retreat accommodate up to 22 people. Convenient to NYC, Boston Ideal 4 season getaway for family/friends or corp. groups! The 45-acre property features a beautiful, newly renovated twelve bedroom Victorian mansion, which can accommodate up to 24 overnight guests. The stunning home features an on-site gym; spa; full service kitchen; ADA accommodations; private bathrooms; incredible views; and more. The property will also be building a stunning, newly-constructed barn, which can hold up to 300 guests for dinner and dancing; seminars; and other events. Our Doggy Day Care Program, allows you to incorporate your pets into your Ski or Camping Vacation. Don't leave them behind for the weekend... Take them with you! We can comfortably care for your loved one's while you ski or hike the day away. Overnight stays available in The Bed & Biscuit Hotel at the rate of $30 per night. Your stay includes 3x 15 minute potty walks, unlimited bottled water and feeding to your schedule. Social time, mile long walks, 1, 2 and 3 Hour hiking trips, and movie and popcorn packages available. ​Windham Mountain Resort's base lodge. Choose from a range of comfortable rooms, spacious suites, and onsite condos. Hotel amenities include a fitness center, movie theater, game room, restaurant, and complimentary shuttle to the mountain. Reservations Specialists simplify the vacation planning process, with centralized access to all of Windham Mountain Resort's offerings.